I was recently in a theology class where the teacher made this point: anyone wanting to be like Jesus should try doing what he did. What did Jesus spend most of His time doing? Bible scholars say it can be estimated from scripture that Jesus spent more than 60% (and maybe as much as 90%) of his time making disciples. He did this over time through relationships. In fact if you follow the timeline of Jesus choosing his disciples, it shows He was very careful and did it over multiple encounters with them. We sometimes forget that in order to win ourselves a hearing we need to first let those we want to win be heard. As we celebrate discipleship this month we want to help you partner with Jesus in the greatest mission on earth: making disciples who make disciples until He returns. 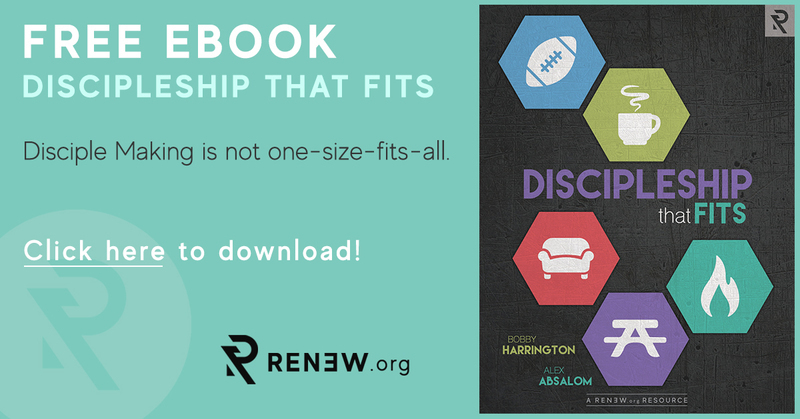 One way we are doing this is making sure you have been able to add some key books to your discipleship library. 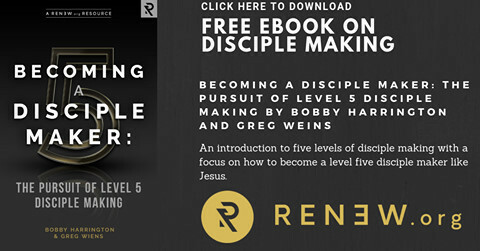 Please find below 3 eBooks that will help you to better trust and follow Jesus' teachings for disciple making. Please click on each of the three links below to download each one. These are substantive tools we think you will benefit from. If you know of anyone else who might appreciate these resources, would you please take a moment to forward this email to them now? Also, there are less than 2 weeks remaining to register for the 2019 Renew Gathering at the promotional price of $49!! 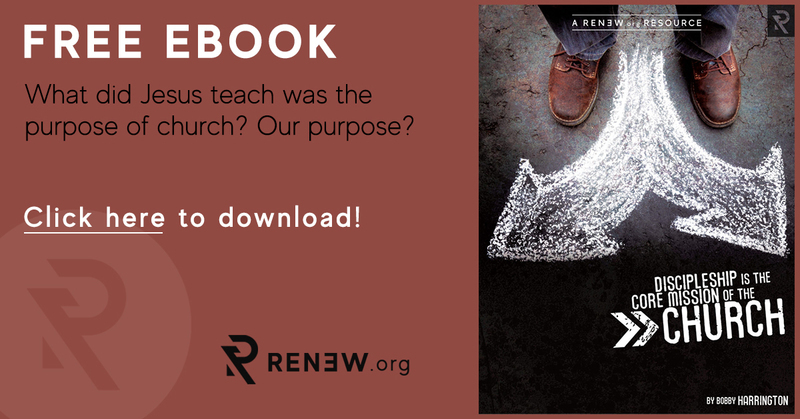 Go to renewgathering2019.com for details!